Spondylolisthesis L5 is the most common location for vertebral migration to occur in the human spinal column. It is no surprise, since this vertebral level, and the intervertebral levels surrounding it, experience the most significant structural degeneration of any location in the backbone. Additionally, the lowest lumbar spine is also the location which is most susceptible to traumatic injury and victimization by a diverse range of dorsalgia syndromes. 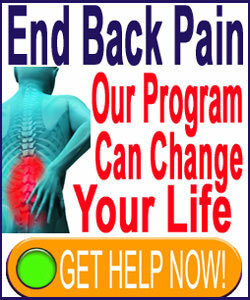 The lumbar 5 vertebra usually migrates forward, creating an anterolisthesis condition. However, in rare circumstances, the vertebra can also slip rearwards, creating a retrolisthesis condition. Regardless of which direction the vertebra moves, there is no doubt that L5 is the level which migrates most often due to various factors. This short essay examines spondylolisthesis at L5. We will explore why L5 is so disposed to suffer listhesis and provide some facts that affected patients should understand about lumbar 5 vertebral slippage. L5 is traditionally the very last individual spinal bone in the vertebral column, except in cases of transitional L6 vertebra. The L5 vertebra links to the sacrum and L4 by way of the L5/S1 and L4/L5 intervertebral discs respectively. The lumbar spine is built for strength and support, as well as flexibility, especially in spinal flexion. L5 is a location that often involves congenital or developmental defects in the pars interarticularis. Pars atypicalities are most common at this level for idiopathic reasons, but many scientists speculate that it is the natural design of the vertebra that makes it so prone to pars irregularities. These defects are one of the major causes of spondylolisthesis, particularly when the pars fractures and allows the L5 vertebral bone to migrate anteriorly. Most cases of spondylolisthesis at L5 will be classified as grade 1 abnormalities. Grade 2 classifications are the next most common diagnostic verdict as to clinical severity of the listhesis. Both of these gradings are usually asymptomatic and should not require active treatment, although regular medical monitoring by a qualified spinal neurologist is strongly advised. 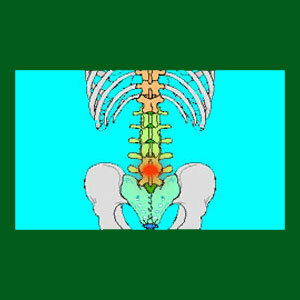 The sum of grade 1 and 2 listhesis conditions accounts for the overwhelming majority of diagnosed cases worldwide, regardless of where in the spine they occur. Grade 3 classifications of spondylolisthesis are rare and usually the result of multiple contributory processes acting together to produce such a dramatic migration of the L5 vertebral bone. Similarly, grade 4 conditions also require extreme circumstances to develop and account for the smallest number of diagnosed cases. Grade 3 listhesis might require active therapy, while grade 4 is almost universally symptomatic and may require drastic surgical intervention to resolve. However, we have seen cases of clinically extreme listhesis wherein the patient experienced no pain or neurological deficits whatsoever. Listhesis at lumbar 5 is the most often observed location for all types of vertebral migration conditions, including degenerative spondylolisthesis, congenital spondylolisthesis and idiopathic spondylolisthesis. In rare cases, the L4 vertebral bone will also be affected, creating the seldom-seen diagnosis of multiple spondylolisthesis. Patients who express listhesis at L5 have the most information available to help them. In fact, when not specified, virtually all of the studies of listhesis focus on L5 as the affected anatomical region, unless otherwise specified. In fact, a layman’s definition of spondylolisthesis is known to be forward migration of the L5 vertebra, since this is certainly the most common variety seen globally in all age demographics.